Can I order from different artists? Absolutely! You can add as many items as you wish to your shopping bag from different artists. Please note that due to various time frames in production, they will not be shipped at the same time, or from the same location. You will receive updated tracking numbers for each individual package. If you are purchasing an item for yourself and another for a gift, you will need to make a separate transaction. If you wish to purchase a gift card in addition to a product that will require a separate transaction. Gift cards are digital and are not subject to shipping/taxes. They are emailed to the recipient. Can I contact the artist directly? The staff at The Jewelry Showcase can answer any questions you may have. We are well versed in all offerings presented by our individual artists. 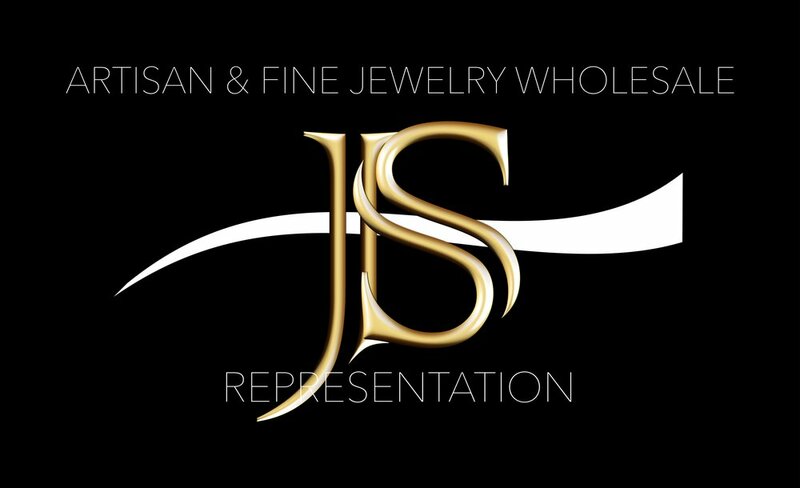 All our artists have chosen to work with TheJewelryShowcase as an online representative. Many of them attend shows, or are busy in their studios creating. In order to receive a timely response, we request that you contact us for any questions, customizations or wholesale inquiries. I see something on the artists bio page, but it's not listed for sale. How can I order it or get more information? All our artists have varied collections, some of them far too vast to present everything. If something catches your eye please contact us and we will assist you with price and availability. Do any of the artists offer custom work? All our artists accept custom orders as well as customization of items you see on the site (i.e. precious stone changes, or rings sizes). Please send us your request and we contact you as quickly as possible. All custom orders (full customization or customized variation of an item available for purchase) require a 50% non-refundable deposit). My item is shipping as a gift. Can I include a notecard? Yes! Please send us your request in the checkout and the artist will include a note to the recipient. All our artists provide beautiful packaging ready to give as a gift, or if you are the gift recipient. Do you offer gift cards if I can't decide what to purchase for a gift? We offer gift cards starting at $25 with increased increments to $500. The gift card will be emailed to your recipient. Gift cards have no expiration date. We cannot offer partial refunds if the full amount of the gift card is not redeemed. Where is my item shipped from? Your jewelry is shipped directly from the artist. The location of each artist is located on the item description. We offer complimentary shipping in the Continental U.S.A.. Please note that The Jewelry Showcase operates in the State of California. All orders delivered to California addresses are subject to CA sales tax. What is the delivery time once I place an order? Please note time frames on the item page as many of our artists create items made to order. It can range from one to several weeks. If you need to have your purchase expedited, we request you notify us prior to placing your order to insure we can accommodate your special rush request. If it is a made to order item, the artist may charge an additional expense to the item itself. All expedited/overnight shipping requests are charged, we do not offer complimentary shipping for expedited or overnight shipping requests. Please contact us prior to ordering if this is the case. How is my item shipped? Most items will ship USPS Priority Mail or UPS/FedEx, fully insured with tracking. Typically delivery times are 2-7 business days, depending on origin of the artist and your destination. You will be provided with a tracking number once it is shipped. Items exceeding $1,000 are shipped with signature request for your protection . We regret that we cannot ship any jewelry regardless of value to P.O. boxes. Please make sure your shipping address is accurate. We are not responsible for packages that are undeliverable due to an error in a shipping address. If your item requires a signature, please be available to receive it. You will be provided with a tracking number. We are not responsible for items that are returned due to lack of signature acceptance. Do you ship International? We ship via USPS EMS or Fedex International, depending on country and value. We highly recommend that you contact us prior to making a purchase , so we can quote an accurate shipping cost, as this will fluctuate based on final destination as well as value. All customs and duties are the sole responsibility of the purchaser. Please check with your country as customs and duties vary . Unfortunately, we cannot accept requests to mark packages as gifts or to declare lesser retail value to lessen the cost of duties or taxes. We are not responsible for packages that are delayed, mishandled or lost in customs. I own a store, can I order wholesale? The majority of our artists would be happy to accommodate a wholesale request. Please send an inquiry using the contact form and we will be in touch with you. How do I return an item? If you are not 100% satisfied with your purchase, you may return it for refund within ten days upon delivery receipt, provided that it is not a customized or made to order item. Any item indicated as "in stock" may be returned. Please notify us via email, stating the reason for your return. Your item must be packaged carefully, with all original packaging and shipped back with tracking and full insurance, as we cannot be responsible for returns that are lost or damaged by the shipper. We do not offer refunds on shipping. Return shipping costs are the responsibility of the customer. Once received your refund will be processed typically within 24-48 hours. Refunds can only be issued to the credit card used for payment. Please note that your refund may take several days to over a week before posting to your credit card or bank. Please contact your bank or credit card company before contacting us. We do not accept returns on items that are worn or damaged, nor do we accept returns on made to order items that have been customized (including rings). All customized and made to order items are indicated in the individual product listing. If you place an order for a made to order item, it must be cancelled within 3 business days to be eligible for a full refund. Any made to order purchase cancelled after 3 business days will be refunded less 50% of the total item. If you have any reservation about purchasing a customized or made to order piece, we request that you contact us prior to placing your order. We are more than happy to address any concerns, and answer any questions you may have. The only exception is in the rare and highly unlikely event that error was made on a customization (i.e. ring size) by the artist. All our artists are meticulous in their work. If that is the case we will rectify it immediately. We encourage you to carefully inspect your jewelry once it arrives and make sure it is free from any type of flaw. Please contact us immediately, as we value your overall satisfaction. My item arrived damaged, what should I do? In this unlikely occurrence please retain all packaging and shipping materials and notify us immediately upon receipt. Please take a provable date stamped photograph and explanation of the damage. We will assist you with damage claims caused by the shipper, or if it is a damage to the jewelry itself.